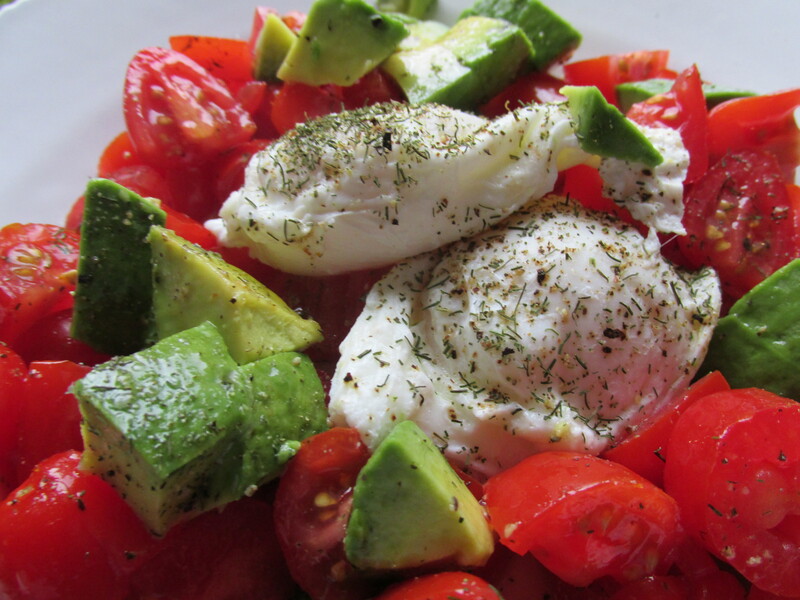 breakfast 101: poached eggs w/avocado and tomato. and i’m feeling relieved to finally get a moment to slow my heart rate down. my week hasn’t been the smoothest week ever. can’t complain, but still. i need a healing morning. let it thunder and lightening. 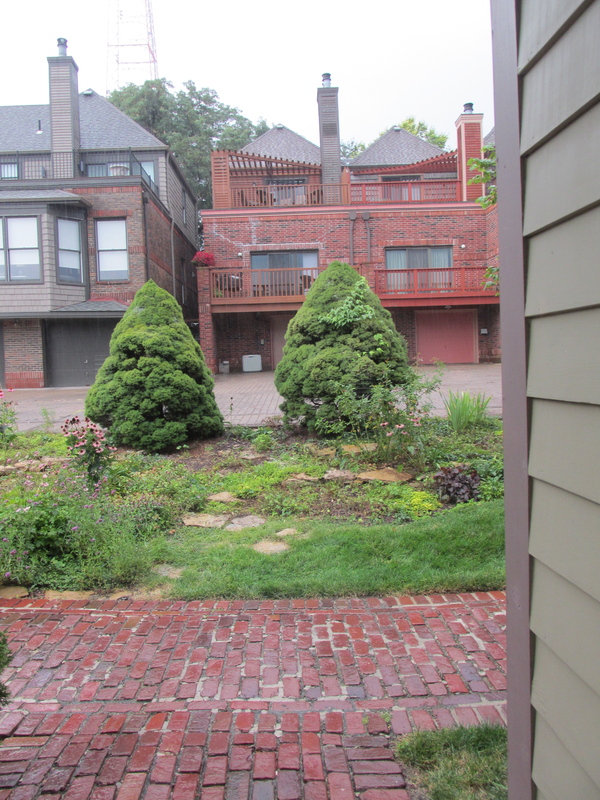 let the rain come down. let’s brew some coffee, and make the most of these few hours of peace. is there any better way to brighten up a gloomy day than a healthy breakfast? i know i’ve been posting about breakfast a lot, but i feel SO DIFFERENT, now that i’ve changed my breakfast habits. i used to go straight to the grains, or breads, or sweets, and eggs had to be accompanied by bacon, no matter what. a lot of times, i would just skip breakfast because i didn’t know how to eat healthy. look at that runny, yummy, cheese-saucy egg. mmmmm…. do you know how to poach an egg? if not, here’s how! fill up a sauce pan with just a couple inches of water and bring to a simmer. just before the water starts to boil, pour in a little white vinegar. just a tablespoon or two. crack two eggs into a bowl, being careful not to break the yolks! stir the water until it swirls and funnels slightly, then slowly pour the eggs into the center of the funnel. let the eggs cook for 4 minutes, give or take a few minutes. there might be some whites that pull away from the yolks, and you can serve those underneath the pretty poached yolk, if you want. or you can discard them. spoon the eggs out and drain on a paper towel. meanwhile, cut up some tomatoes and avocado, sprinkle with kosher salt and fresh cracked black pepper, and drizzle with a little olive oil. 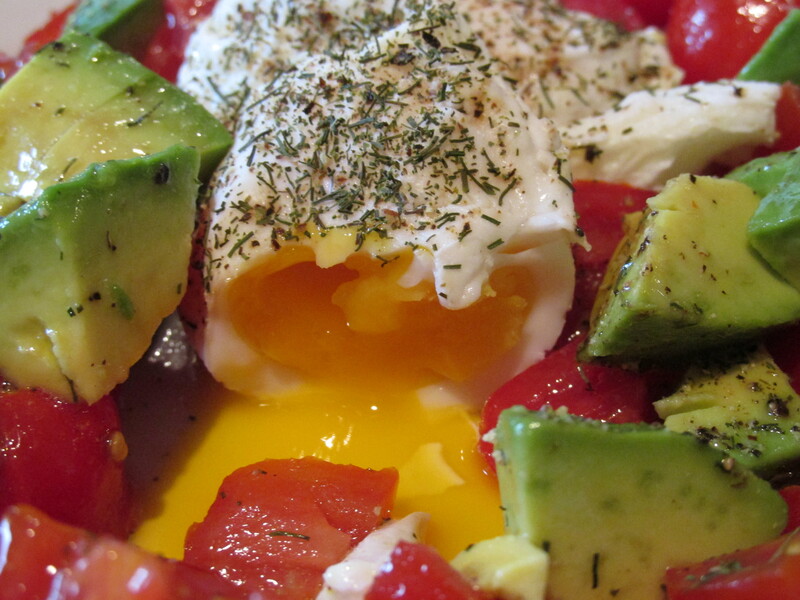 place the eggs in the middle of your plate and spread the beautiful tomatoes and avocado all around. sprinkle with dill, salt, and pepper. you may feel compelled to have biscuits and gravy this stormy morning, or boring cereal if you’re in a hurry (or a rut), but try this easy breakfast and see how you feel! it is truly enjoyable. This looks amazing. I’ve never poached eggs. Will give it a try.